Save $1 on Lipton 100 count tea bags. Save $1 on 15 oz. Hormel chili. 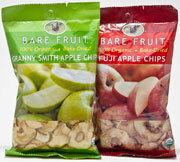 For another healthy snack option, try Bare Fruit’s line of organic bake-dried fruits, which are low in calories, high in fiber and naturally sweet. They’re also free from added sugar and preservatives, and they’re gluten-free, as well! Help your kids get their four servings of fruit each day with Homemade Harvey snacks, made with organic whole fruits crushed together and pouched up for easy squeezing. Each Harvey contains more than one full serving of fruit and has no juice concentrates, no added sugar, lots of vitamins and only 60 to 100 calories. You can find them in the chilled section of our produce department. Visit Johnson Springview Park for the last evening of Rocklin’s summer concert series. August 6 is Teacher Appreciation Night, and Nugget Markets will be on hand providing fresh samples to our area’s educators and everyone who comes out to support them. The festivities at this free event begin at 6 p.m. Please visit rocklinchamber.com for more information. Visit Royer Park in Roseville for this fun, family-friendly event, supported by Nugget Markets and benefiting the Performing Arts of Roseville. Part of the Music in the Park summer series, the August 15 event will feature the 80z Allstarz in a free concert beginning at 6 p.m. Please visit rosevillemusicinthepark.com for more information. Nugget Markets is again a major supporter of the Davis Farm to School Connection’s Village Feast event at Davis Central Park. All proceeds from the event support the Davis Farm to School connection, which provides support in Davis schools for garden-based learning, recycling and improved school lunches. Please visit davisfarmtoschool.org to find out more and to purchase Village Feast tickets online. Prices valid 8/4/2010 - 8/10/2010. 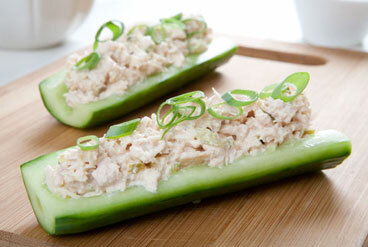 This is a quick and easy after school snack that you can customize to suit your child’s tastes: We made it with chicken salad, but you can easily substitute egg or tuna salad to please picky eaters. Make the salad portion ahead of time and after-school preparation will be a snap! Pizza is always a crowd-pleaser, and this healthful version will help you sneak some whole grains into your child’s diet. And because it’s pizza, they’ll love the flavor and presentation! With the kids back in school, let Nugget’s meat department help you choose what to make for dinner on those rushed weeknights. Try our marinated, seasoned hamburger patties, hand-mixed with our special spices. Or grill up some of Nugget’s own pork hot dogs, hand-crafted in-house daily and free from fillers, binders, extenders, color additives, phosphates, nitrates and MSG! The hamburger patties and hot dogs are both on sale this week for only $3.99/lb., save $1/lb. 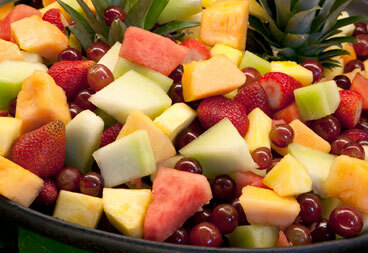 Another healthy (and easy) after school snack from Nugget’s Deli, our fresh fruit salad is cool, crisp and refreshing. We wouldn’t go a summer’s day without it! $4.99 /lb., save $1/lb. Cereal is the go-to staple food for those busy mornings before school. 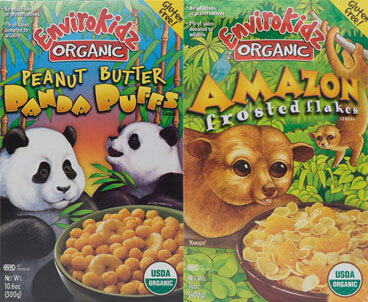 When the kids go back to class this year, start their mornings right with one of our favorite cereals for the little ones: EnviroKidz. Certified USDA Organic, this cereal also comes in conveniently portable cereal bars, and it makes a great bedtime or after-school snack as well. What’s even better is that one percent of proceeds from the sale of this cereal go to fund wildlife protection and habitat conservation efforts. For every product sold with the Aisles of Smiles logo, manufacturers will donate to the MDA to help Jerry’s Kids. In Northern California thousands of families are affected by neuromuscular diseases, many in our community. The Muscular Dystrophy Association works hard to help these families by providing services such as medical care and equipment. Save money and help out when you buy products with the Aisles of Smiles logo at Nugget Markets. As you gear up for the start of school, make sure healthy snacking is on your to-do list. Kids need to snack, especially after school. Their growing, active bodies and brains need fuel more frequently throughout the day than adults. In fact, 20 to 30 percent of kids’ daily energy needs should come from snacks. After-school snack offerings should supply good-for-you carbohydrates from whole grains, fruits and vegetables. These foods also provide needed fiber for healthy intestinal tracts. Mix ½ cup Greek yogurt (higher in protein than regular) and a teaspoon of honey for a sweet dip with apple slices. 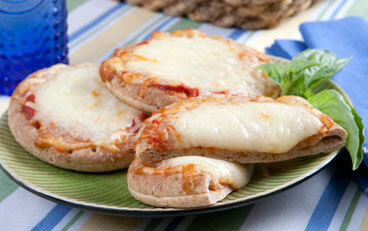 On a whole grain English muffin half, spread a tablespoon of pasta sauce and melt a slice of mozzarella cheese to make a fast pizza, or see Nugget’s recipe for Toaster Oven Pizza (above). Make an irresistible snack mix by combining 2 cups microwave popcorn and ¼ cup peanuts tossed with a tablespoon of grated Parmesan cheese. Whip up a fast shake with 1 cup low-fat chocolate milk, ½ banana and two ice cubes in a blender. Spread a ½ whole wheat tortilla with 1 teaspoon low-fat sandwich spread and roll up with a slice of roasted turkey and one grated carrot inside for a crunchy hand-held wrap.